If you're anything like me, you spend time on Porsche's site playing with the configurator designing the car of your dreams. I get a lot of enjoyment playing with option packages, colors, wheels and everything else you can do to personalize your Porsche. So, imagine my surprise when I found that Dynamiq - a yacht builder based in Monaco - had paired with Studio F.A. Porsche to design the GTT 115 Hybrid Superyacht. 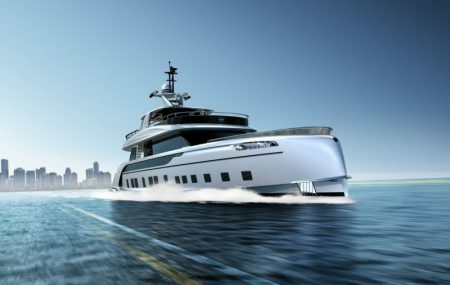 Dynamiq markets the GTT 115 Hybrid as "the first Superyacht with Porsche DNA". Now mind you, I'm not an expert in the Superyacht world, but what about the Royal Falcon 135 you see below? The Royal Falcon was introduced in 2008, and at least one or two hulls were produced and then reportedly sent off to Greenline Yacht Interiors for interior fitment and completion. In fact, there's one for sale on JamesEdition.com. 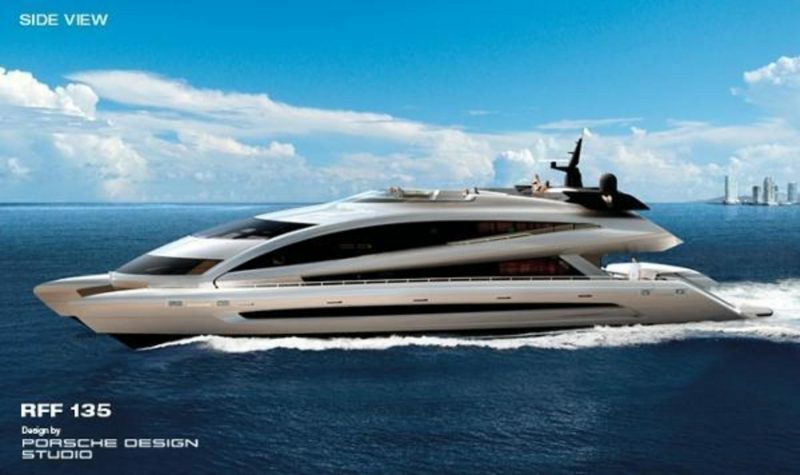 What makes this truly Porsche inspired is that it's the first Superyacht that can be configured online. Just like our friendly Porsche configurator, the Dynamiq GTT 115 configurator let's you choose items like the sports package, exterior and interior configurations, etc. There's even a host of "options" that include power packages, audio packages and more. Out of everything, our favorite "option" is the ability to add a Panamera 4 E-Hybrid Sport Turismo (although no word on if the GTT 115 will include a garage for it). Powered by twin 1213kW MAN engines paired with the latest Fortjes 5000 pods, the Dynamiq GTT 115 is capable at least 21 knots and can cross the Atlantic with a range of 3,400 nautical miles. If you're worried about consuming too much fuel, don't be. An optional hybrid power system is available via the online configurator. According to Dynamiq, "two additional 20.8 Kw 3-phase asynchronous motors connected to the PTI of the gearbox through a free-standing flexible coupling. The electric motors are fed by a frequency converter from the on-board network via a circuit breaker. The electric propulsion is alternative to the diesel engine propulsion and is almost silent thanks to the bow location of two variable speed generators and provides a speed of 6 knots for an unlimited period of time: the perfect option for slow " breakfast" cruising or delivery trips with extremely low fuel consumption." What's the Dynamiq GTT 115 Cost? As you would expect, all of this comes at a cost. Limited to just 7 units worldwide, the Dynamiq GTT 115 has a starting price of 11,900,000 €. With options and various add-ons you can easily exceed 14,250,000 €. Although not available as an option on the Dymaniq site, buyers of a GTT 115 might consider a Porsche Design Fearless 28 as a tender for their new Superyacht.